It was an honor to work with Professor John Cox and Karen Jones O’Donnell as the moderators for a workshop on maternal mental health in low income countries. The major theme of the workshop centered on the need for a paradigmatic shift, rather than more training models, to achieve change. Paris, France was the setting for this timely and complex discussion. The fourteen dynamic individuals who participated represented nine countries in Africa, Asia, Australia, Europe, North and South America. 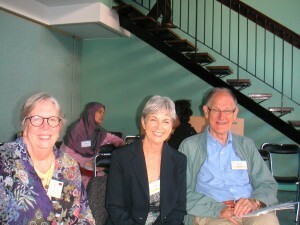 Our conversation was held on the last day of the Biennial Congress for the International Marcé Society in October 2012. Shahed Rahman opened the 90 minute session by sharing a unique CARE (Cooperative for Assistance and Relief Everywhere) project called Window of Opportunity. He is the director of an effective nutrition program for mothers and infants in a rural area of Bangladesh. This example is designed as an intervention that occurs within the perinatal period. By using health workers who are already in the community, they are also addressing the issue of capacity building. 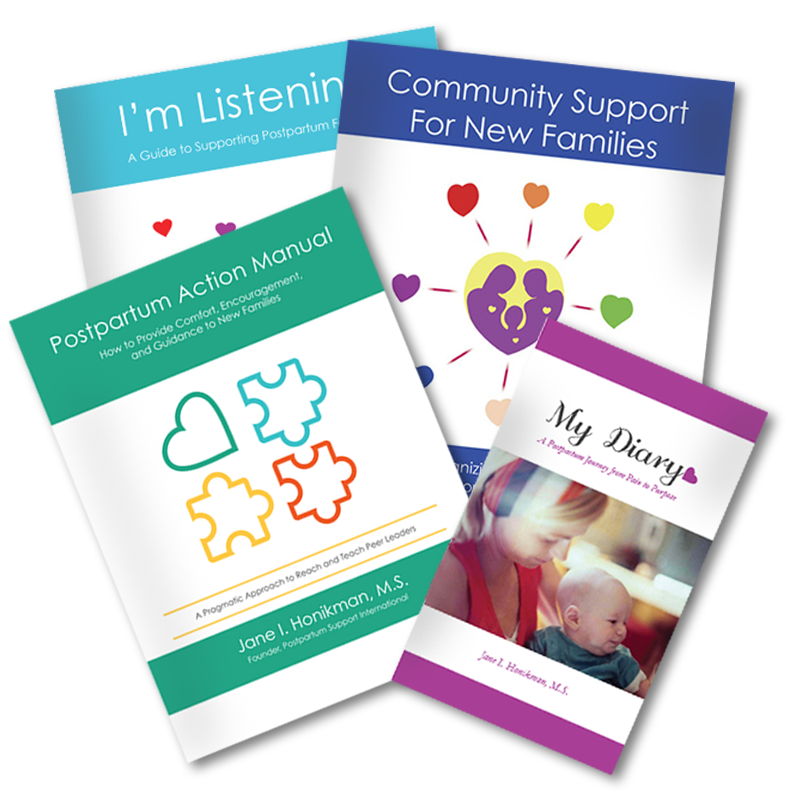 The health workers are provided a Facilitator’s Training Guide: How to help families cope with postpartum depression which was adapted from my 2002 I’m Listening book. This program is part of a CARE research study. It was agreed that despite our knowledge about depression, mental health is most frequently at the bottom of the priority list in many countries. That led to wondering how useful the disease model is when talking about mental health. Is a wellness model more sensitive? It was argued that a sickness model (Nepal) may be better than a wellness model for eliciting empathy and to access services (also true in Haiti). What can be done in a culture that does not support an empathic approach? We were reminded of the distinction between the levels of www.boomtownbingo.com/cassava in the peripartum period and how to refer when it is needed and the role that support groups play. The differences in the words used to describe PPD across cultures included “faking”, “cold” (Vietnam), “inactive” (Kiswahili), and “I know something is wrong, but I don’t know what it is” (Brazil). Simone Honikman has been the director of a maternal clinic in Cape Town, South Africa for 10 years. She spoke about how vital it is to address the mental health needs of those delivering mental health interventions in low resource settings. These health workers are often facing the same socio-economic adversity as their clients and may be traumatized by the responsibilities, content and load of their work. There may be several ways to capacitate and support these health workers, which in turn may secure their being sustained in service and improve the quality of their care. Adequate peer and individual supervision processes, as distinct from monitoring processes. Interactive, ongoing training which draws on the existing capabilities of health workers and enables reflection of emotional responses and needs of the health workers themselves. The Perinatal Mental Health Project www.pmhp.za.org “Secret History” training method was discussed. This incorporates group role play and humor and simultaneously addresses the problem of abuse of perinatal women by health staff. We concluded our session with comments about training nurses and other health workers to do screening, the complex issues of screening tools, the lack of local validation in many cases, the advantages and models for self reflective training, the importance to affirm those who have never been affirmed before, the power of women’s groups, and also the need for models and protocols. Both Shahed Rahman from Bangladesh and Hudson Santos from Brazil commented about fathers. Who is the key to the mental health of the mother? We were reluctant to stop talking. It felt as though we’d only just begun and that was true. My hope is that this was merely a first step towards a conversation that requires a much larger audience. At least it was a start.